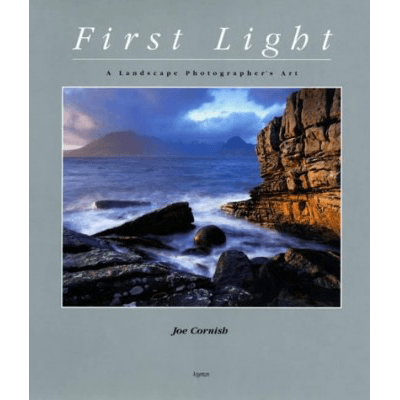 This review takes a look at the book First Light: A Landscape Photographer’s Art by Joe Cornish. I’ve been getting a few landscape photography books recently as I’ve looked more in to landscape photography, both for photographic inspiration and technique. "Seven main chapters cover the artistic and technical issues of landscape photography…." The book itself is structured into ten chapters, with the seven main chapters covering the artistic and technical issues that Cornish uses as the mainstay of his overall approach to landscape photography. This is achieved over the main chapters entirely as a series of two-page spreads, each of which illustrates and discusses an individual image that Cornish has taken over the course of his career. And that, perhaps surprisingly, is essentially the entirety of the book. What may initially surprise the reader is the difference between my opinion of this book and the Amazon review, and I admit that I am perhaps being overly harsh in my consideration. First of all, the images are almost all stunning and would be a great inspiration in and of themselves to any landscape photographer even without any supporting text. This is actually enhanced by what I consider to be the most useful part of the book. Unlike most authors, Cornish has had the forethought to add a second, related image – inset on each double spread – that he considers to have been a less successful capture. Critically, he explains exactly why he considers this to be the case, and it’s this kind of comparison that I consider to be absolutely invaluable. Such comparative understanding is a vital tool for anyone getting into landscape photography – or indeed any kind of photography – and in First Light this is done far better than any other photography book of my experience. To some extent I would have preferred there to be more of this sort of description, alongside some description of the more technical aspects required to capture each pair of images. It seems not to have been Cornish’s wish to take First Light in that direction, however, as all technical descriptions of the images are relegated to an appendix that gives nothing more than camera settings next to a thumbnail of the main images. This is perhaps a good thing, depending on your point of view, as this leaves far more room for a description of the artistic process that lead up to the moment of capture. It’s here, though, that in my opinion, that the book falls down somewhat. The quality of the images is of such a high standard that I feel they deserve considerably more than the half page of description, even just the description of the artistic process, than they ultimately get. Occasionally, the description is extremely useful, but this utility tends to be either from an artistic or, very occasionally, the technical point of view only. More often than not I think there is just not enough of both to give with a more complete understanding of the process. Arguably, this would have broken up the flow of the book as one would be forced to flick back and forward between description and image, as this format would almost certainly require more than a double page spread to do with any success, but in my opinion the current format of the book restricts the amount of description possible to the extent that what is there feels somewhat incomplete. Almost invariably after finishing each page, I had the impression of there being far more that had been left unsaid than said. As an aside, the vast majority of images were taken with a 5 x 4″ film camera, so those looking principally for insight into digital landscape photography should give serious consideration as to whether to buy this book. However, if you’re looking for inspiration, there are few books whose images I have seen that could provide better. In my opinion, this book only rates 3.5 out of 5, with the main loss due to the combined lack of description of technical and artistic process; ultimately, I would have preferred more involved description in terms of both technical execution and, to a lesser extent, the artistic process. But I understand that that is just me. I do feel to have been somewhat harsh in this judgement in that the quality of the images in and of themselves almost demands a higher evaluation; they are all of excellent quality – indeed, some are absolutely breathtaking – and are perfect for those looking for inspiration in their photography. Comparison of the main and inset images is an excellent touch that I can’t remember being communicated so clearly or to anywhere near the same extent. It’s also one of the most effective ways I’ve seen for demonstrating the thinking behind, and refinement of, the creative process. So if you think that I’m being harsh you might well be right, because despite my relatively low mark I would nevertheless highly recommend this book for landscape photographers. Fair assessment and nice review. I’m more for the artistic inspirational background than the technical side so we differ on that slightly. As for most of the images being taken with a film camera, I think that is a good thing for people who are interested in the artistic side, especially now people have a habit of firing of a thousand “ok” images on a DSLR these days, rather than taking time to think and compose. All true – I didn’t have any problem with the descriptions that were available, but I felt there could have been more of both artistic and technical description, but I can appreciate that some would disagree with me there.